Associated with restoration, protective coatings are normally applied to restored surfaces. Protective coatings range from clear sealers to durable urethane deck coatings. Vertical surfaces have clear sealers or latex-based elastomeric coatings applied. Horizontal surfaces are best suited for a high-build product, such as a urethane deck coating. Since horizontal surfaces requiring protection normally are exposed to sun, water, ice, foot and vehicular traffic, a more durable coating is best. MAC Restoration Contracting, Inc. also offers a specialized injection system capable of shutting off water intrusion through cracks and fractures in concrete walls. The process is a pressure injected urethane foam grout. The grout reacts to water present in the crack and creates a closed-cell foam. This is a very effective repair and negates the need to excavate and repair from the exterior side. MAC employees understand the reason for these services – an owner has a water infiltration problems. We provide the Owner with options and, after one is selected, we become problem solvers. 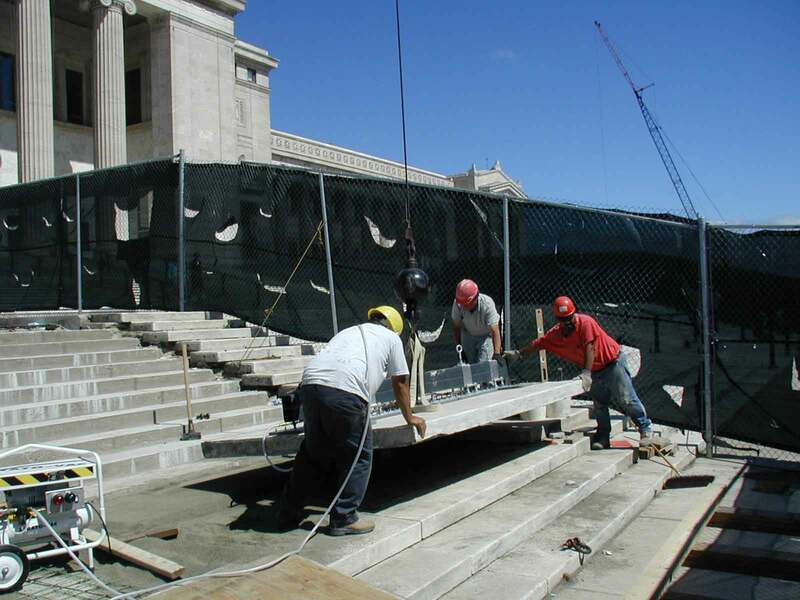 MAC Restoration Contracting, Inc. has recently completed a large granite paver installation. The installation was unique, incorporating a snow melt system into the setting bed. The installation had existing elevations to meet as well as slopes to maintain. Quite a challenging and successful project. 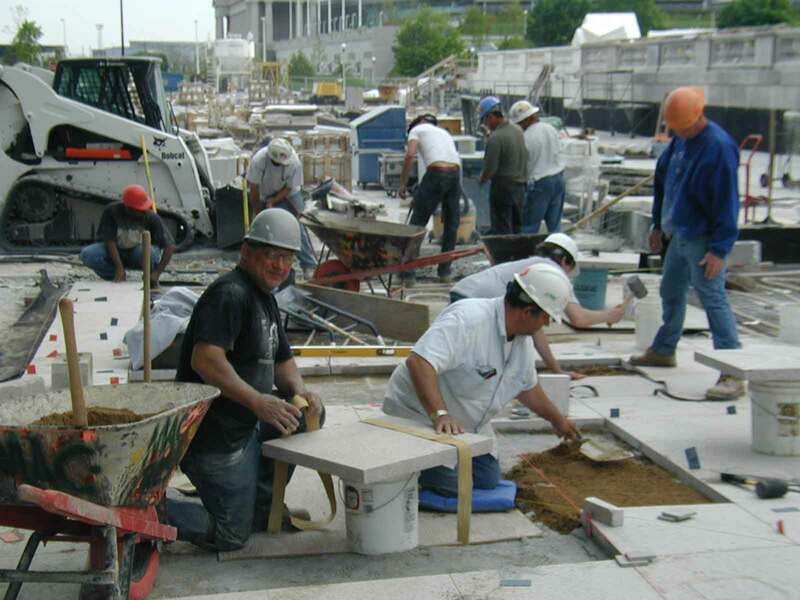 Pavers can also be precast concrete and come in a variety of sizes and thicknesses. Specialized vacuum equipment is used for the heavier pavers. Pavers 100 lbs. or less can generally be hand set. Pavers can be set on a mortar setting bed or placed on pedestals. The pedestal installation allows air and water movement below.